Ever since 2008, marijuana has been legal for medicinal purposes in Michigan. For those who qualify under the law—and it's important to understand the full legal implications—Michigan has plenty of qualifying marijuana dispensaries waiting to provide! Here are a few of the best. Northern Specialty Health in Houghton is one of two medical marijuana dispensaries in the Upper Peninsula, which is reasonable enough as the law applies up there too. Those seeking the medication will need to fill out a one page membership and have a valid Michigan Registration card along with photo ID, but once that's done, three tiers—A-list through C-list—will be on hand, offering familiar names like OG Kush but also local favorites like Keweenaw Copper. Daggett is home to the second marijuana dispensary in the Upper Peninsula, and it's been frequently cited by visitors for a friendly, knowledgeable staff. Home to several different kinds of medication as well as extracts and edibles—one of the store's signature products is the Bear Bait Brownie—it's got the kind of variety that should keep its customers coming back for more. As the Premier Licensed Provisional Center in Bay City, JAS Herbal Remedies takes pride in its “patients first” approach. With over 90 different smokable varieties as well as extracts and an abundance of edibles—they've even got drinks and frozen treats, which can be great in Michigan summers—you'll find just about anything you could ask for here. Throw in a range of accessories to help you administer the medication and the end result is a great experience. At Mt. Morris, the Fire Station Wellness Center looks to provide a wide range of product. With several breeds of both indica and sativa on hand, as well as hybrids, edibles and an almost dizzying range of extracts, the end result is plenty of options. There are even topical applications. Throw in a variety of accessories to round it out and there will be something here for just about every taste. Flint has a good variety of dispensaries on hand, and OG Medical is one of the best. It offers doctor certifications as well as what it calls a “raw no high canna-blend,” which is actually a cannabis-based superfood that doesn't come with a high and doesn't involve smoking. For those who do want the smoke and the high, both indicas and sativas are on hand. Round out the list with a complete package of edibles and extracts and it's a great place to stop for weed in Flint. Lansing's Greenwave Dispensaries Michigan looks to provide some truly high-end patient care. Strange thing to say about a marijuana dispensary, perhaps, but it seems quite true. Every batch of marijuana that goes out the door is tested by a lab with ISO certification, and checks for pests, residual pesticides, microbes, and even the overall strength of the cannabinoid in question. The product is even sufficiently safe, in some cases, that it's been given to children with seizures. Sativas, indicas, hybrids and flowers are all on hand, giving customers a wonderful range of options. 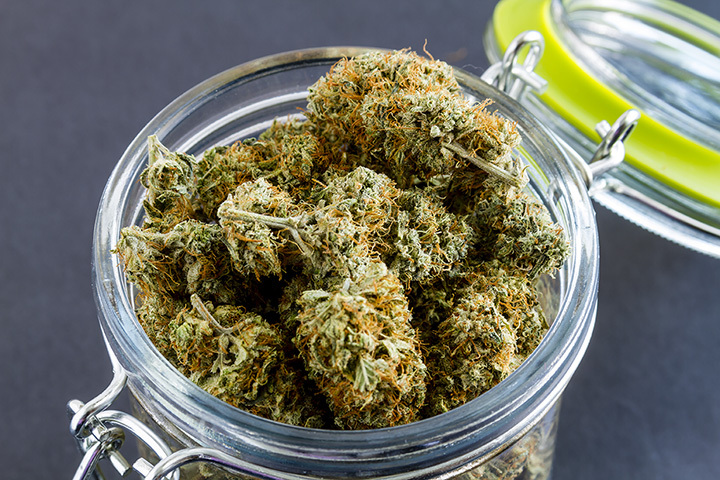 With locations throughout Michigan, including Grand Rapids, Muskegon, Lansing, Ludington, and more, the Society of Healing Arts Institute (SOHAI) looks to be a one-stop shop for everything medical marijuana related. Not only does it offer licensing opportunities, but it also offers the tools needed to carry out your own growing operations in the Hydro Tower Garden device as well as essential oils and a range of educational options. The Pure West Compassion Club in Holland has something of an important honor to its credit as assessed by “High Times” magazine. According to that press, Pure West is home to the “Best Non-Sovlent Hash,” specifically, the Banana Split Rosin Hash grown in conjunction with Grumpy Bears Farms. That's quite the honor, but that's just where it starts. Featuring licensing help, discussions of legal issues, and several other options, Pure West looks to provide the best in all-around service to its patient base. Head to Portage to check out Lake Effect, a dispensary that—if it isn't already—should pride itself on its variety. With indicas and sativas on hand, as well as extracts, edibles, and in a comparative rarity a set of topicals to offer up, Lake Effect will have the marijuana of choice for just about any user. Lake Effect even turns to the Spott Laboratories for its product testing, a Kalamazoo Lab that was voted best in the state back in 2016. Featuring “great meds and friendly staff,” Tru Releaf in Lansing offers up plenty of reasons to keep coming back. Between a knowledgeable—and friendly—staff, and a wide range of products including indicas, sativas, extracts, and hybrids, Tru Releaf provides a good range of product to work with. They've even got a few edibles for variety, including the Orange Crush, Blue Raspberry, and Key Lime cookie varieties from the Nicely Toasted cookie line.